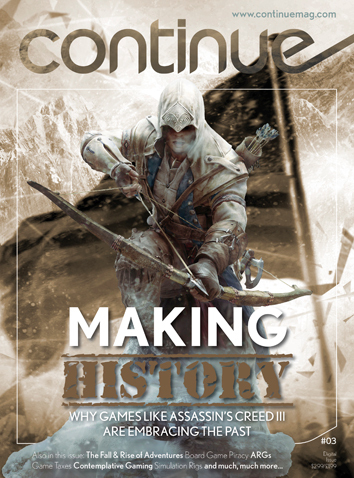 The latest issue of the rather excellently put together Continue magazine is now available. Complete with another set of my musings on MMO design and feedback, the magazine is chock full of more interesting articles and features from in and around the gaming industry. There is a fantastic pieces on the history of adventure games, and their possible resurgence, alongside an interesting article on ARG gaming amongst others. The standard of writing is really very impressive, and I'm not just saying that due to my minor involvement. It is honestly refreshing to see some well researched, well written, and informative gaming journalism getting done. I'm proud to have played a small part! So make sure you check it out, you can find all the details here.